Now this blog might be Business Set up part 13, the number unlucky for some but I think this might actually be one of the most important blogs - pricing. In the last blog I briefly talked about pricing your items for sale, this time we look at the different terms that go into a pricing formula. 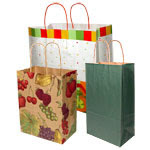 Overhead Cost - Everything that is not labour or materials such as a trade show stand, equipment and promotional items. Mark Up - The % of materials and/or labout costs added to an item to reach a price. There are so many different ways to create a pricing formula and the most important aspect is finding one you are comfortable with. Generally, the best formulas consider materials, labour/time, overheads and profit. However, if your time far outweighs your materials you may choose to just calculate on time. It is recommended that a minimum markup for wholesale price is 100% to cover overheads and profit but if you can increase this it can only be to your benefit. The retail price is what you suggest your wholesale customers (if you have any) sell your items at. If you sell directly to your customers online or in your own shop, you still need to sell at the retail price or you will be underselling your wholesale customers and risk losing them. Selling at retail also increases your profit margins and enables you to have sales or special offers because even if you have a sale at wholesale price you still make a profit. Evaluating your prices every few months is essential. Pricing is a balancing act between your costs and what your target market is willing to pay - I find this balancing act very difficult as do many. An alternative method is to work in reverse starting with what you think people are willing to pay, half it to get a wholesale price and then realise that you have to use materials in line with this price. You may be surprised to find your profit margin may increase this way. If through evaluation you discover that your prices are indeed too high, look at ways to reduce your costs, such as wholesale purchasing, before automatically dropping your prices. Next time - we start looking at marketing and publicity. You can take it from me as I have first hand knowledge, pricing can be one of the most challenging aspects of owning a craft business because it isn't always about following a formula. The most important aspect of placing a price tag on an item is the perceived value you are creating. A consumer doesn't always want a low price as this can indicate an inferior product. 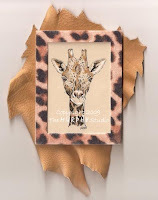 They view a price as an indication of craftsmanship and by buying a handmade item such as one of my cards, the buyer has a sense of good taste, status and confidence in the seller. However, a buyer can tell if something is overpriced. Similarly, not all buyers will take into consideration the time taken to make something and they may compare it to a machine made item. This would be like someone comparing one of my cards with a mass produced card you'd find in Clintons or Hallmark and to me, they are not comparable. Many new sellers, including myself in the beginning, misunderstand price and undersell themselves at bargain prices because they feel guilty about making a profit margin or they are just so excited to get those first sales. Ultimately, the value you place on an item should wattant the price tag you use! Coming over the next few business tips blogs will will look more into pricing so make sure you come back! I have had a lot of fun writing this feature on The Murphy Studio on Artfire, as I do with all of my feature blogs. As with the others, we shall learn a bit about Murphy Studio owner Misti and then I will showcase some of her fantastic items. 1) If you had to work by a creative mission what would it be? My creative mission is to create “fine art” that is affordable for everyone – without commercially producing my art. My solution is to hand-paint or sketch magnets that are reasonably priced but still remain a work of art. Don’t get me wrong, I have more expensive items for sale, but magnets are really my focus. Everything is handmade by me, including the sketches, the paintings, the leather wall hangings, and the silhouettes of the wood cut outs (although I have a craftsman actually cut them out due to the lack of strength in my hands). I paint what inspires me and every piece is original. 2) Have you had any creative disasters? Sure! Lots of them. Crafting is a trial and error process. Many of my creative disasters turn into something someone out there just loves – even though it is a disaster in my mind. That’s the great thing about art – everyone’s view is different. started a new “Safari Collection” based off of him! My husband and I were married at Reid Park Zoo in Tucson , Arizona between the Giraffes and the Lions. It was a memorable moment that I draw on for inspiration. Throughout the day, the giraffes were trying to reach over their enclosure to nibble on my bouquet of flowers! 5) Is there another craft you would like to try? I would like to experiment with some kind of metal craft – not jewelry, though. More like furniture or home accessory design. 7) From where do you draw your inspiration? My love of animals and the southwest. Animals have always been a huge part of my life. From growing up with animals, to currently having four dogs of my own, animals have a unique place in my heart. I love to see their expressions come to life in my paintings, and consequently, how my paintings make animal lovers feel when they see them. 8) What made you do this for a business? I’m actually a custom home designer struggling through this economic downfall. I turned to art (after 20 years of not painting) to fill my time and make some extra money! 9) How do you like online selling? It’s interesting. It’s a lot more work then I thought it would be. It’s difficult to keep up each day, but I love the community and seeing other’s work. 10) What tip can you pass to a new online seller? Promote, promote, promote! It’s all about networking and marketing – which I’m not very good at yet but I’m getting better. My advice would be to try to get your name out there, be supportive of other artists, and don’t be shy about the art/product you create. Be proud of what you make and share your site with everyone you know! 12) What has been your favorite vacation/holiday? My honeymoon! My husband surprised me and took me to Las Vegas and then to Catalina Island . It was very romantic! 13) What's a good book you have read? Sad to say – I don’t read many books. I never have. It’s just not something I can keep my interest in – I just think about everything else I have to be doing while reading, and then I have to read it all over again! 14) Which season do you relate with and why? Fall – it seems to be the season the season that everything happens. Maybe because the weather is cooler! 15) What is a favourite film of yours? Oh – there’s too many! I like We Are Marshall, August Rush, 27 Dresses, basically any kind of love story or anything with Kevin Costner! 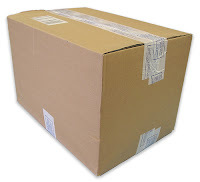 In the previous business tips blog, we looked at packaging your items. Well today we are going to look at production and lowering the cost of supplies. If you are new to the craft business, it can be extremely tempting to pay retail prices for your materials - believe me, I have done it when buying for Butterfly-Crafts! But, by doing this you will have to price your items high therefore reducing your profit margin. Finding a seller who will sell wholesale will take a lot of time and leg work but it will definitely pay off in the long run. You may be extremely lucky and know a fellow craft business owner who is willing to share their sources, but if not, a trade show is a great place to start. It can take contacting several sellers before you discover the perfect match for your requirements. It is important not to settle for the first quote you receive, you must base your decision on the quality of their products, their competitive prices and the customer services. Another suggestion would be not to buy an extremely high quantity to begin with just to take advantage of bulk pricing. You should make sure the item you wish to make with the supplies will be a seller and then increase your purchase when appropriate. All wholesalers have a minimum order requirement. Keeping the idea of cost control in the forefront of your mind, order the minimum quantity. Check what payments will be accepted. You are likely to find that as a new buyer, you will need to pre-pay with a cheque, credit card or perhaps cash on delivery. If you become an established buyer with your seller, you can probably set up a 30-day credit account. One final thought on production is that some of the best materials can actually be free or very low in cost - fallen leaves, sea shells, thrift store items, charity shops and vintage bedding all make fantastic supplies and materials. But, it is important to remember that these sort of materials are not always readily available therefore collect and gather when ever possible. Taking the children to the beach? Have a hunt for shells or such like! You never know when that pretty little shell / vintage throw / oak leaf will come in handy! Packaging may be the last step in the design process but, it is still an important step and still requires thought and planning. Some crafters, in simple haste to get their items listed, just stick on a quick label and this can sometimes look mismatched. Good packaging can enhance the value of your product, strenghten your brand and draw attention to the item if it were in a physical shop. It is no good however being all packaging and no substance! You will need to find a balance between your product and packaging. What you choose need not be expensive - it just needs to look professional. Ideas you might like to consider include printing labels with your logo, use left over fabric to make tags, include an information sheet explaining your company history and if applicable, include information on how to care for your product. But, the number one tip I can offer for packaging is it must always be marked with your company name and logo and if space allows, your website. For Butterfly-Crafts, I have all of my cards packaged in a celophane wrapper and if applicable a sticker saying that the card is blank on the inside. I plan to develop a sticker saying this but with my logo. I also ensure that when I mail off an order, there is a business card and perhaps another promotional item but more on those at a later date. It's now time to think a little about researching a new product line. Creating your product is a personal process but you are placing that product in a market for consumption therefore people have to want to buy it! What products already exist and is there already market saturation? What trends did you notice? At craft shows, how many tables are selling similar products? Why did certain designs appeak to you? What are the wholesale and retail prices? Attending a craft fair or trade show is a fantastic method of research. However, try not to make it too obvious you are on the hunt for ideas! Trade shows can be hard to access initially as you often have to prove you are a legitimate business. But, once you gain entry, check out the floor plan and booths you wish to visit and get moving! If you are able, pick up a price sheet and catalogue and always keep a notebook handy to write down the information - but perhaps over a coffee and not infront of the booth. Craft fairs can be easier to access, I attend a minimum of one a year to check out what's new and behave like a shopper - all in the name of research for Butterfly-Crafts you understand! Coming next time in the Business Tips (monday) - Tempted to copy? 1) If you had to work by a creative mission what would it be? Make things because you love to create, invest a little of yourself in every piece, never be afraid to try something new. 2) Have you had any creative disasters? Yes, heaps of them. It is part of the process of creativity in my opinion. I always learn something from the disasters, and I think it makes me a better artist. 4) Sum up your collection for me. The easiest way to sum up my collection is one word - eclectic. There is a real mix of items and media. 5) Is there another craft you would like to try? I would love to try making Lampwork beads or fused glass. 7) From where do you draw your inspiration? I dont really know. Lots of things inspire me, but I guess most of it comes from within. 8) What made you do this for a business? I was making lots of things, more than I could wear. So I started to think about selling some pieces. The owner of a forum I work on opened a store on the forum, sort of kick in the pants for me to get on with it. I talked to my family about trying it out and then if it worked pushing it further. When I heard about ArtFire I realised it was time for me to get serious about selling. This is what I want to do with my life. 9) How do you like online selling? I love that it costs less than a bricks and mortar store! I have also made heaps of new friends. It has opened up new opportunities for me. Yes, it is hard work at times, but I dont regret my choice one bit. 10) What tip can you pass to a new online seller? Promote, promote, promote. Seriously, it is the only way to get your name and product out there. People will not come to you unless they know you are there. 12) What has been your favourite vacation/holiday? When I was pregnant with my youngest child we drove interstate with our 4 kids and my mum to help celebrate my Grandparents 90th birthdays. It was the first time we really had a family holiday, even though it was only a weekend. It was also the last time the whole family was together, including both my brothers. My Grandmother died a short time later, 2 weeks before my daughter was born. 13) What's a good book you have read? Terry Pratchett DiscWorld novels... any of them, I love his work. 14) Which season do you relate with and why? Summer. I was born on the last day of Summer (in Australia), always my favourite time of year, even if it does get really hot. 15) What is a favourite film of yours? My favourite film of all time is The Rocky Horror Picture Show, although Star Trek movies run a close second. "Three o'clock in the morning and I can't frickin' sleep. I've tried showers, music, milk and cookies, wine and counting sheep. But a zillion little random thoughts are driving me insane, It's like hamsters on a wheel running right inside my brain." No, I have not lost the plot. If you know what the above is about then you too must listen to Blockhead Radio. If you have no idea, then you need to start listening! I 'discovered' BHR during the 48forLarry silent auction one weekend in July and they have gained me as a dedicated listener now. I really like BHR because I felt welcomed from the outset in the chat room, I may be in the UK but I get included in the chat. The others who are in chat are so friendly and it is a great place to bounce ideas around like I did recently for a product idea I had. I also love the chat because if you post a link relevant to the talk, like a blog, it will be read on air - what a great promo tool for Butterfly-Crafts! BHR are also extremely supportive of artisans and indie musicians. It is so much fun when Rod plays songs for people when they ask (like the Tom Smith Hamster Brain song). But, apart from the chat and the community, something I love from discovering BHR, is discovering music I really like! I have often never heard of the artists as they are generally up-and-coming in the USA or I am not familiar with them. But, this past fortnight I have discovered, amongst others, Chris Huff, Tom Smith, Judd Star and the beautiful voice of Jennings who has covered Rhiannas' Umbrella in a stunning way. Its great to have an online radio to listen to whilst I work on the computer at home and now at work - thanks to our IT guy who unblocked the station feed for me! There are not always live shows but music is always playing. The show times are always in EST time, so 5 hours behind the UK. 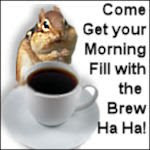 Some I try to catch are the Morning Brewhaha with Rod and Witchy, Tough Times and Inside Handmade. BHR also offer ad spots - people can become a sponsor for $21 a month and for that you get an ad on the live pages in rotation with other ads and a one liner read on air. There were also limited space Showcases which are now sold out, I purchased a showcase for a one off fee, I am yet to write my showcase yet but when I do, it will feature here. BHR have also bought out the BHR Artisan Directory which I will blog about another time. 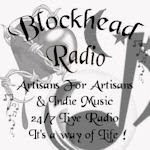 So all in all, I have some serious love for Blockhead Radio, I have been included in the fold and I will return this love by continuing to listen and I have added buttons to the right hand side of my blog - go check it out for yourself. Last time we looked at developing ideas for product, this time we will look at capturing ideas and setting goals. It is so important to seize any creative opportunity that presents itself. You might think of something when you queue in line at the grocery store or when you drive to work, or even when relaxing in the bath. But no matter when it happens, it is important to capture any idea so keep a notebook to hand. 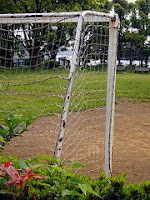 Another important activity is to set yourself goals - both easy and hard. Easy goals might be something like choosing a location in your house from which to run your business or, writing a list of items to make ot beginning to network in forums. When I set up Butterfly-Crafts, choosing a location was really easy, the computer is in my bedroom and my craft supplies are in the spare room so I flit between both. Harder goals often revolve around completing a project and the business aspect of your business - opening up a business bank account for example if it is necessary. Although Butterfly-Crafts has been functioning for over four months now, i still have harder goals like updating Flickr, making more of my Facebook Fan page, creating a newsletter template and consolidating my new supplies store - but more on the latter in another blog. Coming next time on Business Set Up (friday) - How to go about researching ideas.